What do you think were the deadliest diseases were in 2018? Heart disease? Stroke? Cancer? You would be right – these diseases are among the biggest killers globally. But have you heard of the less familiar diseases noma, kala azar or sleeping sickness? If you haven’t, you’re not alone. Although life threatening, these diseases are often overlooked. The people most severely affected by these diseases live in poor and marginalised communities where access to healthcare is severely limited. Research for new drugs and tests that might help effectively treat them is grossly inadequate because pharmaceutical corporations continue to neglect diseases and populations that don’t guarantee a healthy return on profit. While Big Pharma ignores these diseases, we simply can't. Discover four of the deadliest and most neglected diseases in the world, and find out how MSF medical teams are tackling them head-on. Kala azar (also known as visceral leishmaniasis) is the second largest parasitic killer after malaria in India and Ethiopia, which makes it one of the most dangerous neglected tropical diseases in the world. Video of Tropical Diseases: What is Kala Azar? Every year it infects between 200,000 and 400,000 people, mostly in Asia, East Africa and South America. Kala azar is caused by bites from sand flies, the transmitter of the leishmania parasite. Initially, kala azar causes skin sore or ulcers. If the disease progresses, it attacks the immune system. Left untreated, it is almost always fatal. In Ethiopia and India, MSF provides critical treatment for kala azar. It started with a fever. Zoya went from hospital to hospital, but the fever would always return. She felt weak, was unable to work and lost her appetite. Even simple household chores like washing the dishes were too difficult. Finally, Zoya was diagnosed with both kala azar and HIV. “By the time I understood what all of this meant, I had already spent so much money: fifty thousand rupees (around $900),” explains Zoya. At a hospital near her home in India, a health worker told Zoya about the Médecins Sans Frontières team treating people with kala azar-HIV co-infection in a specialised ward. There, she was tested, and it was discovered she also had tuberculosis (TB). Noma, a little-known non-contagious disease, mostly affects children under five living in poverty. It starts as an inflammation of the gums, similar to a small mouth ulcer. Then in just two weeks, the infection starts to destroy bone and tissue, affecting the jaw, lips, cheeks, nose or eyes. Victims can experience pain, breathing complications and eating difficulties. Nine out of ten people affected by noma die in the first two weeks if they don’t receive treatment in time. Parents usually have no idea what is happening to their child, and time is their worst enemy. Although noma can be treated simply and effectively with antibiotics, too often it goes undiagnosed and the child dies. Bilya is a 20-year-old noma survivor and a patient at Sokoto Noma Hospital, in northwestern Nigeria. 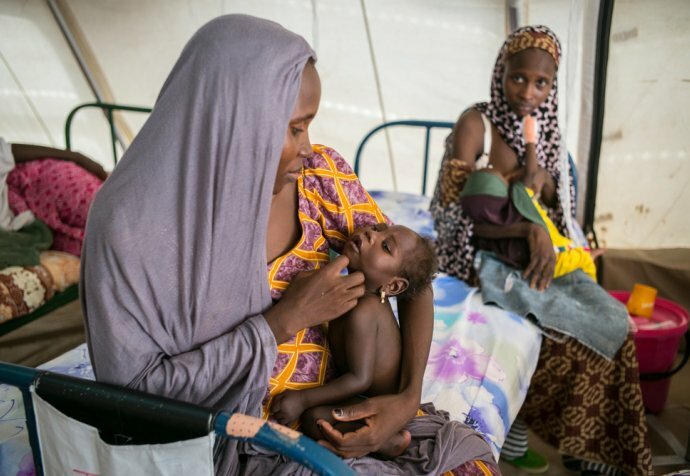 Supported by Médecins Sans Frontières (MSF) since 2014, Sokoto Noma Hospital is the only facility in the country – and one of the few in the world – fully dedicated to treating this deadly bacterial disease. Bilya got noma when he was just one year old. Quickly, the disease destroyed his nose and upper lip. He was lucky to survive. The MSF medical team provides treatment and supports community outreach, active case finding in the region, health promotion and mental health support. Four times a year, a team of international surgeons, anaesthetists and nurses travel to Sokoto to operate on noma patients and give them the chance to have surgery to restore their face and their dignity. The Little-known disease sleeping sickness is an infection that attacks the central nervous system, causing severe neurological disorders. It affects millions of people across 36 countries in sub-Saharan Africa. Most of them live in remote, rural areas with limited access to health services. Many people have been displaced from their homes by war and poverty. These factors all make it difficult to monitor the disease, and to diagnose and treat cases. Without treatment the disease is fatal. Sleeping sickness affects millions of people across sub-Saharan Africa. Without treatment the disease is fatal. Six years ago, Congolese Doctor Kande wished for a simple drug for people suffering from this deadly disease. The only treatment available for him to offer patients was highly toxic. Thanks to a medical breakthrough, he can now cure patients with a single pill, and his work has paved the way for a cure to sleeping sickness. Snakebite is a hidden health crisis. Every year, an estimated 2.7 million people are bitten by venomous snakes, resulting in the death of more than 100,000 people and life-long disfigurement and disability for 400,000 more. Snakes kill an estimated 100,000 people every year. In Australia around 300 people are bitten by snakes every year, but on average only 3 of them die. In Central African Republic, snakebite victims are not so lucky. Why are people still dying of snakebite? The problem is that the one key medicine that can save them is no longer being manufactured. Snakebite has always been low on the international public health agenda. The problem is most acute in sub-Saharan Africa, where more than 20,000 people—over one-fifth of the global toll—die from snakebites each year. Access to proper treatment is limited, with quality antivenoms (the only validated treatment for the disease) costing several times the yearly salary of a farmer in South Sudan. MSF has worked in Paoua, northwestern Central African Republic since 2006. Snakebites are frequent there and people lack access to treatment. In 2017, we treated around 1,000 victims of snakebite which can trigger life-threatening toxic syndromes in the body’s blood, cellular and nervous systems. An ambitious approach is urgently needed to tackle this neglected health crisis. The MSF Access campaign work with governments, treatment providers, donors and communities affected by snakebite to bring about real change for snakebite victims everywhere. Improved training of healthcare professionals and increased investment for community awareness of snakebite first aid and prevention.